What is the address (or) mail Id to sent donor passbook to book the Accommodation & Darshan in Ttd ? For accommodation purpose donor have to sent there passbook xerox copy to donor cell tirumala, atleast 15 days in advance the donor has to sent the passbook. For Darshan purpose don't require to sent the passbook in advance, bring the passbook and show it at "supadham" entrance point. Daily 12:30 pm to 05:00pm this donor can go for darshan at this timings, with out intimation in advance. Donor's of Trust's & Schemes can mail atleast of 3days in advance. But we won't get the conformation regarding that, and some pilgrim says that this mail id is not work properly. Better to sent the donor passbook in advance of 15days. Sir when i receive e pass book regarding the message iam sending now i doneated in nov 2016. (Dear D MAHESH, your payment of Rs. 100000 towards Sri Venkateswara Gosamrakshana Trust is Success. Transaction reference is DNI0402051216123. ). 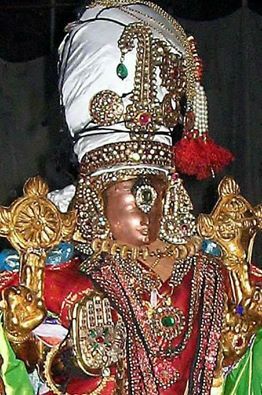 "dyeodonorcell@gmail.com" has been changed to "dyeodonorcell@tirumala.org". If we don't now the passbook no and Donar Id, we can call to donor cell tirumala and the number is 0877-2263472. Sir i am dr r.kumar,my instrument no 085557,dtd9.7.2018.we would like to have dharshan on 26th octobereither morning or evening and on27th october on morning only.so please tell us the procedure to get accommodation for two person only and details of dharshan. Up to this year (2018) there is no advance booking for the accommodation at tirumala. On that day itself (27th) u come straight away to tirumala, in current booking you can try over there itself. Enroll your Aadhar no and mobile no in the counter, if the room has vacated u will get the sms and u can take the room. Under donor accommodation , I Pramod Surebankar request you to provide accommodation for five people on 7th December 2018 at Tirumala. My e Pass Book no is Ttd @ 18046 and my email id is smitasurebankar4@gmail.com. and come for it. If u r not able to book the donor people will help regarding this issue. Number is 08772263472..
Is it possible to change the donor members. I had already have online account but I am not finding option to change the donor members. Will be thankful if you could provide method to change it. Plus in the contact number given by you there seems to be only 7 digits and when I tried contacting it says the number is not valid. It is not possible to change the donor members in that list. The donor can change there names in the list for 3 times, at his life time. For any adjustment pls call to donor cell 0877-2263472....This is a valid number pls make a call to it..